It’s not stalking… it’s just letting your friends know where you’re hanging out. Facebook Places was announced last night and will roll out to US iPhone users today, with other phone users and countries getting it soon after. The gist: If you have a smartphone with a Facebook app you’ll be able to share your location with friends. 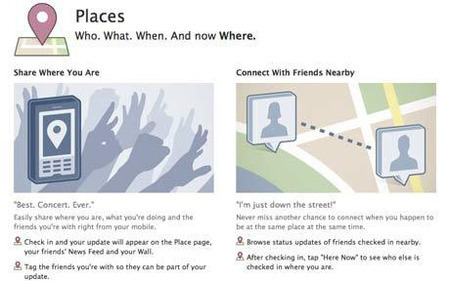 Friends you are with will be able to tag you in their location posts. People who are in the same venue as you will be able to log on to that venue’s Facebook Places page and see everyone who has checked in there. 3) when you are browsing the Facebook profiles of other people in the same venue, you can’t see their name, martial status or age – just their picture. As interactive blogs are where we have a lot of news items in any good work keep it up! ! Yah !! i am always using this, and i have some knowledge about this, but if you have more information about this, so please give me some tips.